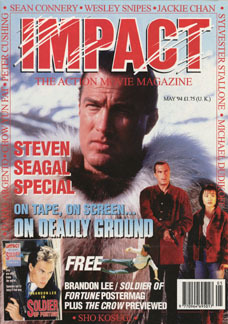 Impact, May 1994 (U.K.). "The Crow Flies", 3-pages. Also included Brandon Lee / Soldier of Fortune Postermag.